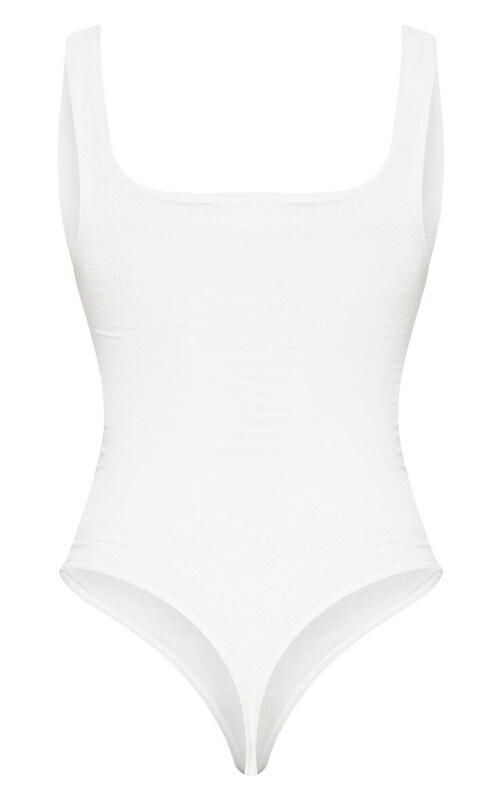 We got you covered for all occasions girl with this bodysuit. 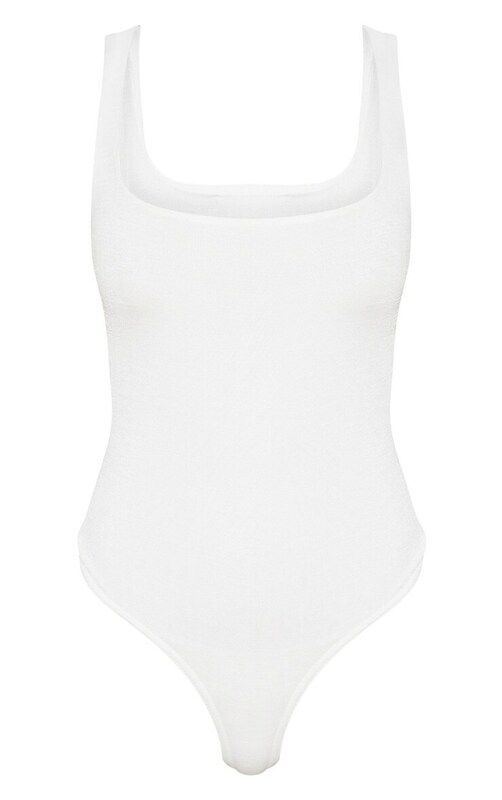 Featuring a white slinky material, a square neckline, a thong fit and a popper fastening. Style this bodysuit with jeans and barely-there heels, complete the look with a pendant necklace.